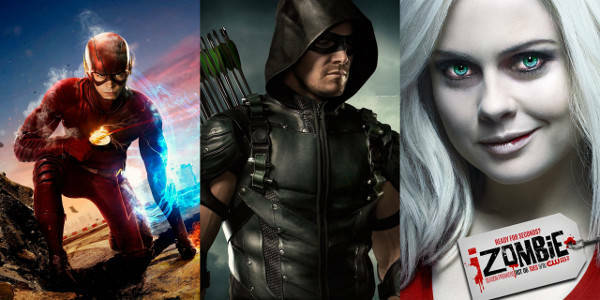 This year's Leo Awards nominations have been released, and The CW's Arrow, The Flash, and iZombie all scored nominations. The Leo Awards are the awards program for the British Columbia film and television industry. Held each May or June in Vancouver, the Leo Awards were founded by the Motion Picture Arts and Sciences Foundation of British Columbia, and celebrate feature films, short films, TV series, documentaries, children's programming, and more. The Flash snagged three nominations: Best Direction for a Dramatic TV Series for "Enter Zoom," Visual Effects in a Dramatic Series for "Gorilla Warfare," and stunt coordination for "Legends of Today." In that category, it will square off against Arrow's "Brotherhood." Besides stunt coordination, Arrow nabbed two out of only three nominations for costume design (for "Legends of Yesterday" and "This is Your Sword," a Best Direction nod for "Brotherhood" (which, funny enough, was directed by stunt coordinator James Bamford, who was nominated in both categories), and a Best Actress in a Lead Role for Emily Bett Rickards (specifically for the episode "A.W.O.L."). iZombie took home nominations for Best Cinematography (for "Zombie Bro") and Makeup (for "Method Head").